Beyond being an AV-Rated (Preeminent) trial lawyer with 40 years of experience, Mr. Lloreda brings a unique background to the representation of plaintiffs in matters pertinent to serious personal injury and wrongful death. Specifically, Mr. Lloreda represented defendants being sued for serious personal injury and wrongful death matters during the time he represented the Hughes Aircraft Company, Raytheon, Hartford Insurance, Travelers Insurance, and the University of Southern California. 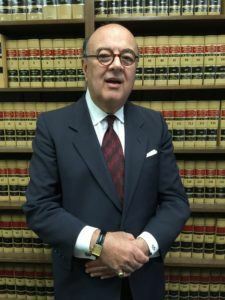 Given Mr. Lloreda’s representation of defendants in serious personal injury and wrongful death matters, he routinely evaluated the value of personal injury/wrongful death claims brought against his clients, as well as knowing the key issues defendants look to in evaluating serious personal injury and wrongful death claims. Simply put, Mr. Lloreda’s experience in knowing how to defend claims puts him in the unique position of knowing how to win serious personal injury and wrongful death cases. Additionally, Mr. Lloreda’s bilingual skills in Spanish allow him to size up Spanish-speaking witnesses and adverse parties. Attorney Lloreda has recovered millions of dollars for his clients in serious injury and wrongful death cases.